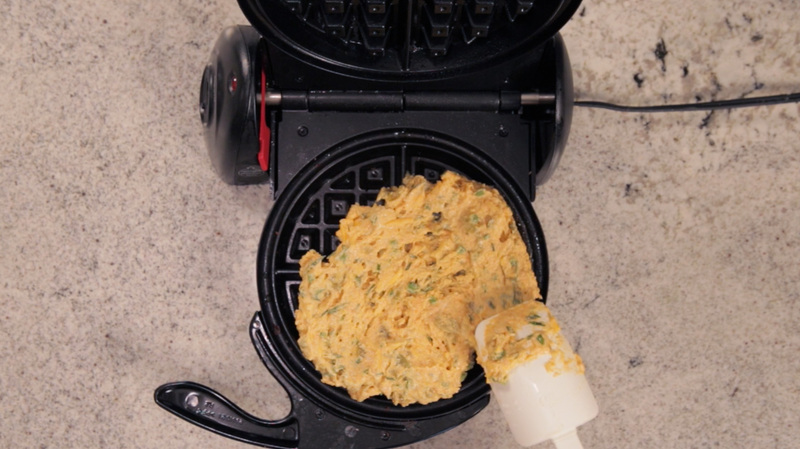 Heat waffle iron and grease with nonstick spray. 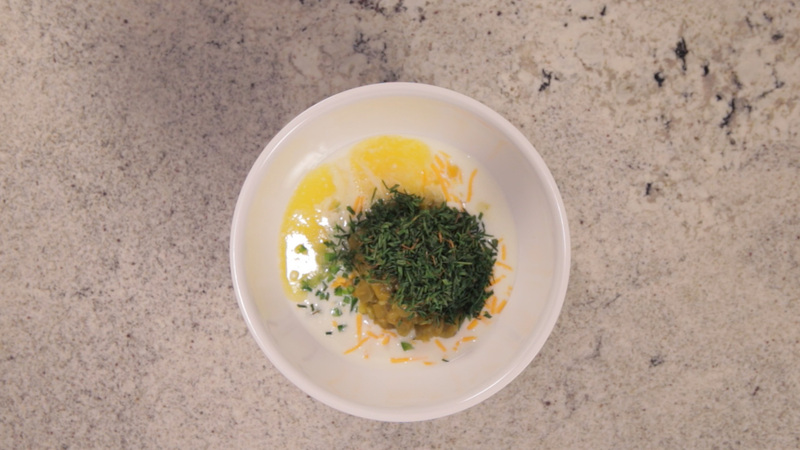 In a medium bowl, combine buttermilk, egg, cheddar cheese, melted butter, green chilies, jalapeno and chives. 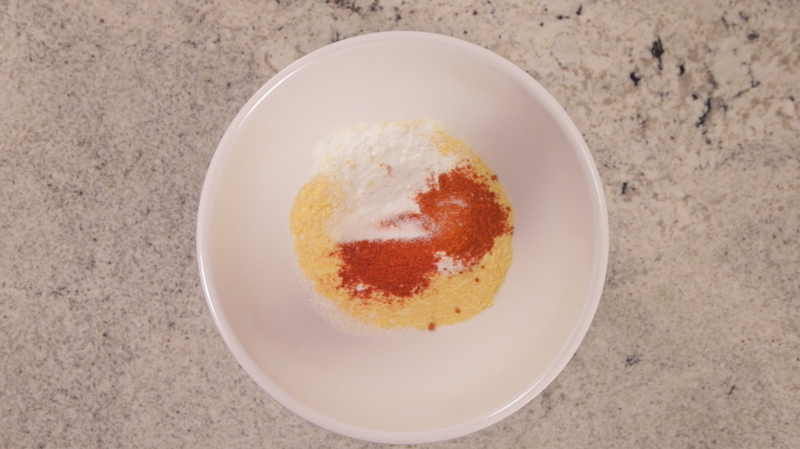 In a large bowl, combine cornmeal, flour, baking powder, baking soda, paprika, cayenne and salt. Add wet ingredients to dry ingredients and stir until combined. Do not over mix. Pair waffle with Chick-fil-A Chicken Tortilla Soup, topped with shredded cheese, green onions, cilantro and Chive and Lime Sour Cream. - For a savory and sweet spin on breakfast, make the waffles as described above and top them with a Chick-fil-A Original or Spicy Chicken filet. Then, drizzle honey or maple syrup on top. - If your family is on the more adventurous side, make the waffles in the recipe above and top them with an over-easy egg, Chick-fil-A Chicken Tortilla Soup, green onions, Chive and Lime Sour Cream and cilantro. Serve with hot sauce on the side.